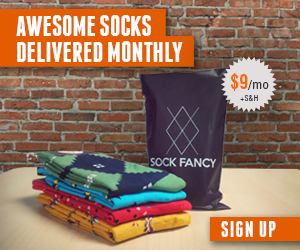 Ozone Socks is a company we’ve discussed several times here on SockClubs. We love them for their fun socks and dress socks, along with their option to buy socks or subscribe to their sock of the month club. One of the more fascinating sock design categories that Ozone offers is their Witch’s Garden collection. This sock category is popular and there are several patterns available within their Witch’s Garden sock collection. The botanical aficionados we are, the design team at Ozone was fascinated by the plants that played a large role in the folklore surrounding witchcraft. Witch’s Garden sock collection includes Fairy Gloves Socks, Bioluminescent Spores Socks, Woody Nightshade Socks, Belladonna Socks, Morning Glory Socks, and Amanita Muscaria (Mushroom) Socks. Halloween is coming up and the costumes this year have the potential to be better than ever. Masks, capes, fangs, and more will also make an appearance on Hallow’s Eve. Batman is one of the most famous superheroes of the modern era (did they have superheroes in the past?). What looks better on your feet than a long pair of socks with the batman icon? A long pair of socks with the batman icon and an attached cape! Check these Batman Halloween Socks out at TrendyHalloween.com and save 15% on all their Halloween accessories. For the women looking to scare away their enemies, nothing says scary like a set of Zombie Torn Leggings. When Zombies emerge from the grave (especially if they were buried in leggings), there is no question that their leggings will be all torn up just like this! Check out these Zombie Torn Leggings at TrendyHalloween.com and save 15% on all their Halloween accessories. Pirates out on the high seas make for a scary encounter for sailors and seafarers. So seeing these leggings walking around on shore can scare the socks off anyone – especially if matched with the swashbuckling outfit of a full on pirate costume. Check out these Pirate Skull Striped High Thighs at TrendyHalloween.com and save 15% on all their Halloween accessories.